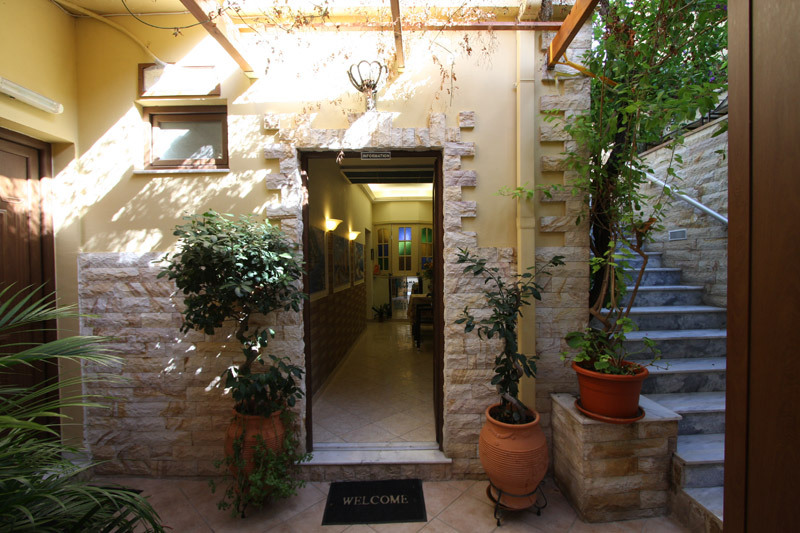 In 2008 Sofias dream came true by renovating the small family hotel to a warm accommodation for tourists who would appreciate to live in an authentic Rhodian home. 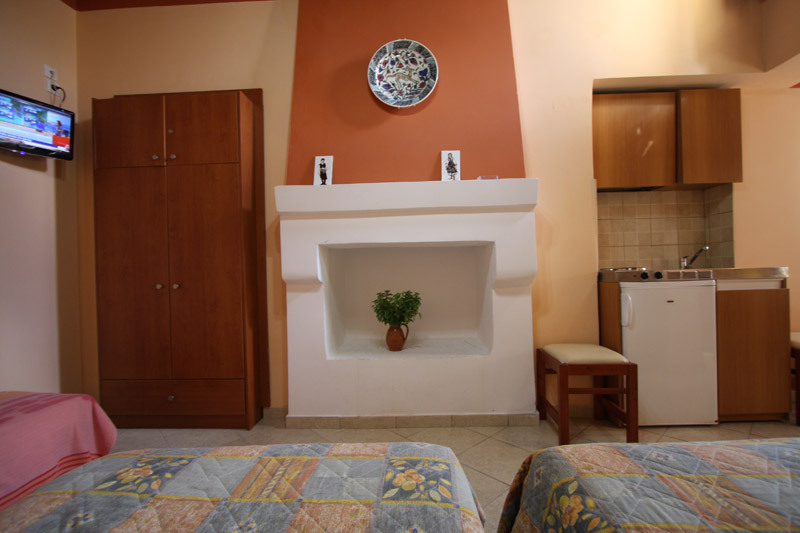 Sofia is ready to offer you a clean and nice place, which reflects first of all, (ksenios) Zeus hospitality. 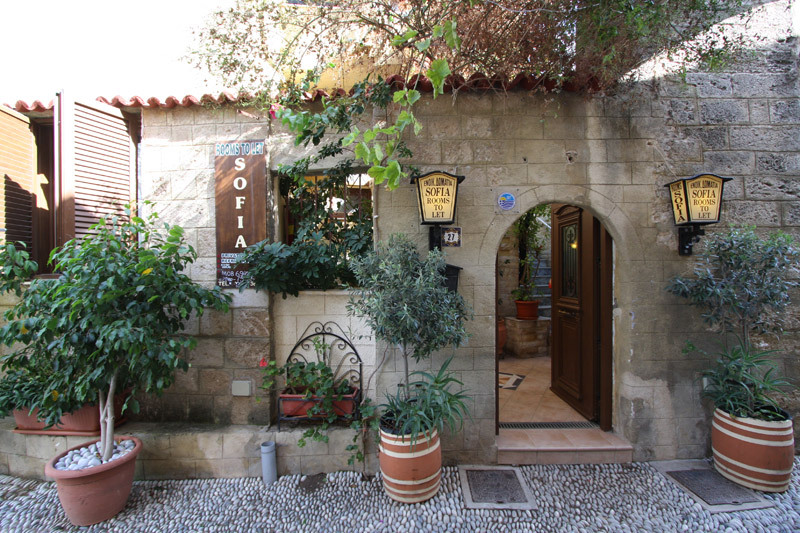 The Old Town of Rhodes Greece is a Medieval Town with cobblestone streets and a piece of history around every corner. It brings to life the world of centuries past. 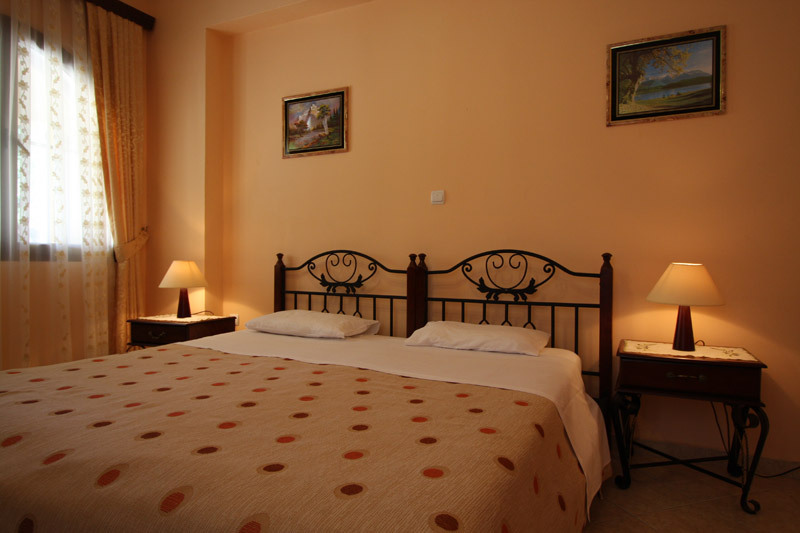 It offers the visitor a wealth of sights to see and explore. 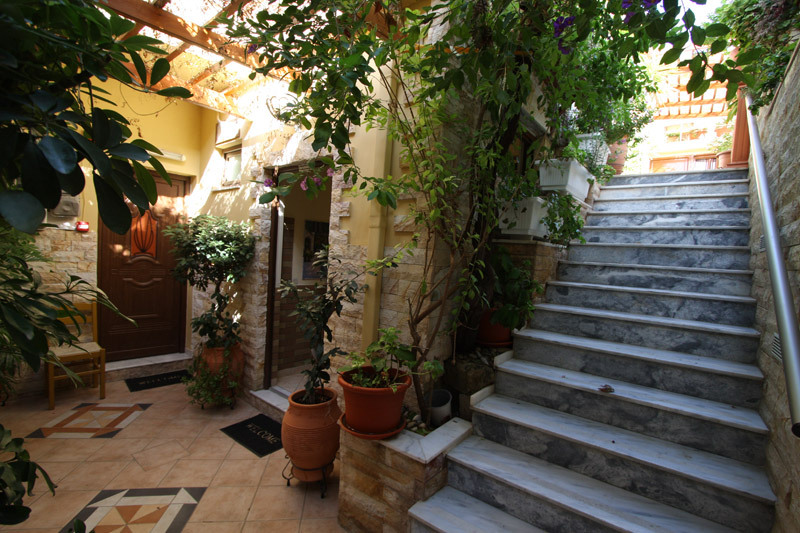 Walking through the Old Town of Rhodes Greece will take you back in time for an unforgettable experience. 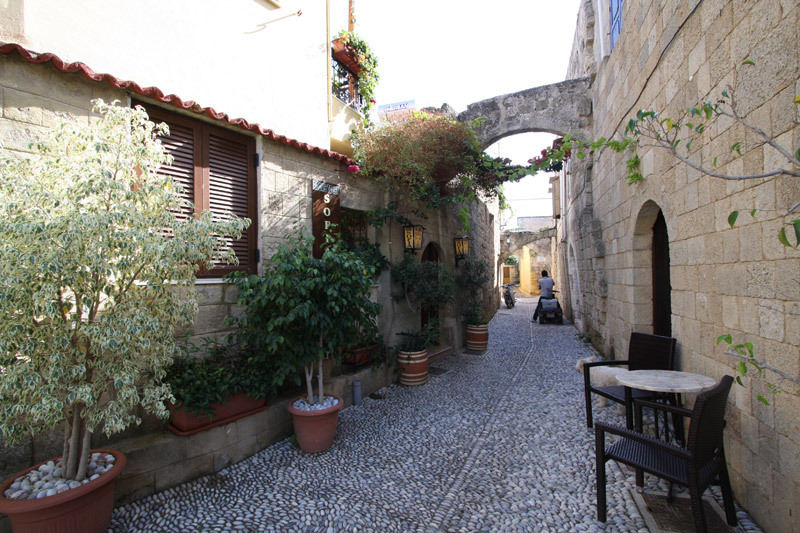 The Old Town of Rhodes Greece is enclosed by medieval walls built by the Knights of St. John in the 14th-15th century. 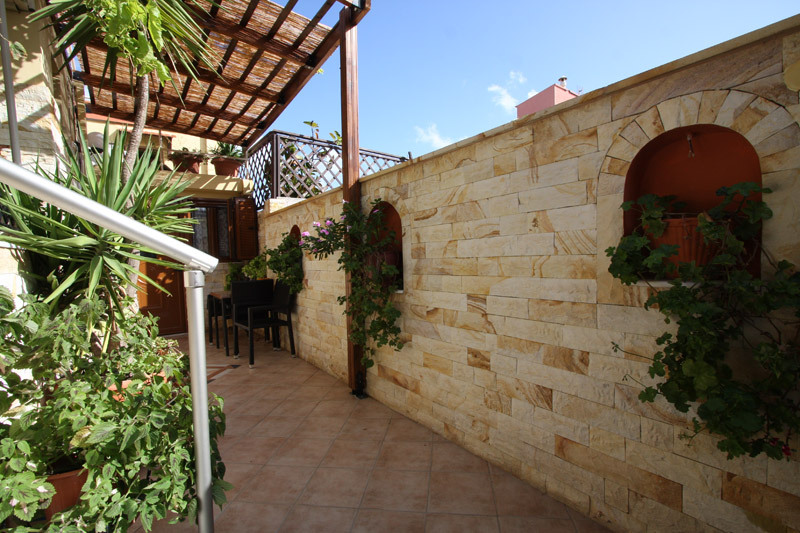 In our sun-bathed dooryard, Sofia will offer you Greek coffee and a rich home made breakfast. 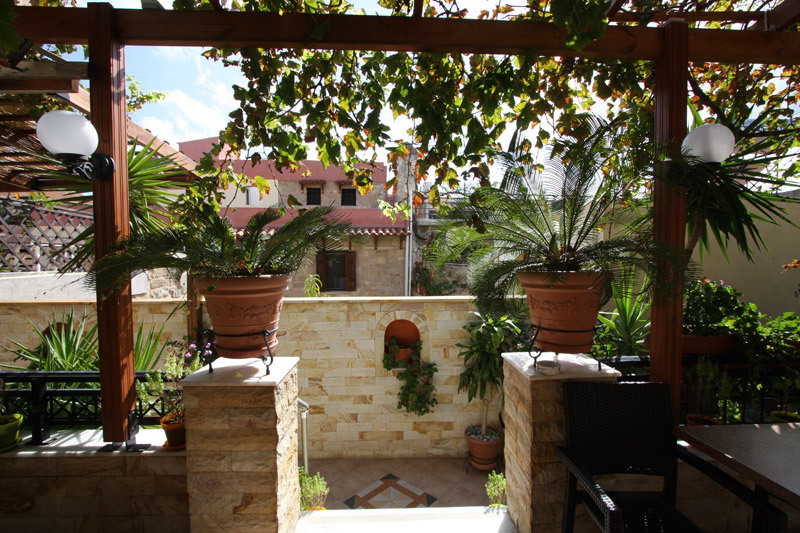 You can enjoy reading your books and newspapers and relax under the Greek sun. 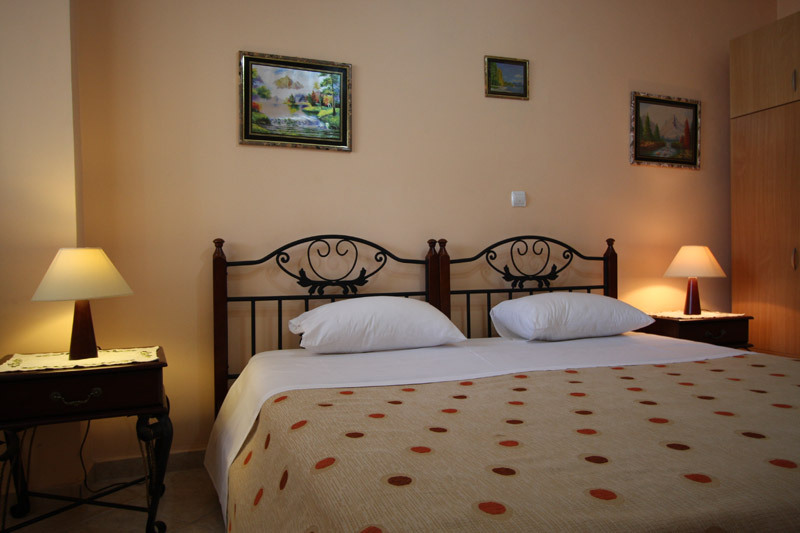 Sofia Pension Rhodes old town rooms to let invites you in an authentic Rhodian home.